Second Japanese lesson, and in spirit of the class, we opted for Miki sushi along Adelaide street for take out that evening. Having tried it before, my main complaint was the fact that the sushi was cold as if it had come straight from the fridge. 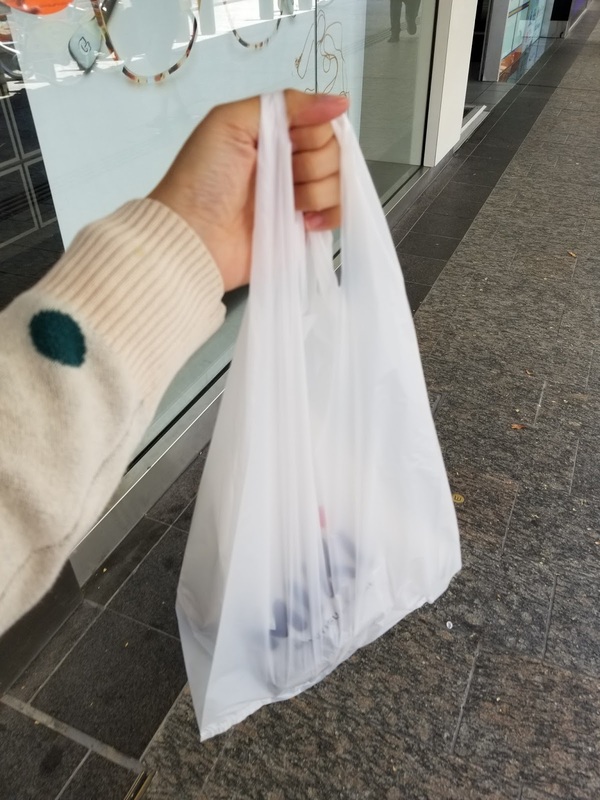 This time, I picked it up at lunch and kept it till dinner, so the temperature would no longer be an issue. Arriving at the store at 11am, I was a little disappointed at the brisk and short attitude I received despite there being no line all. 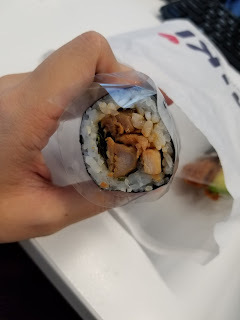 What stood out to me about Miki was the brown and black rice options in most rolls. 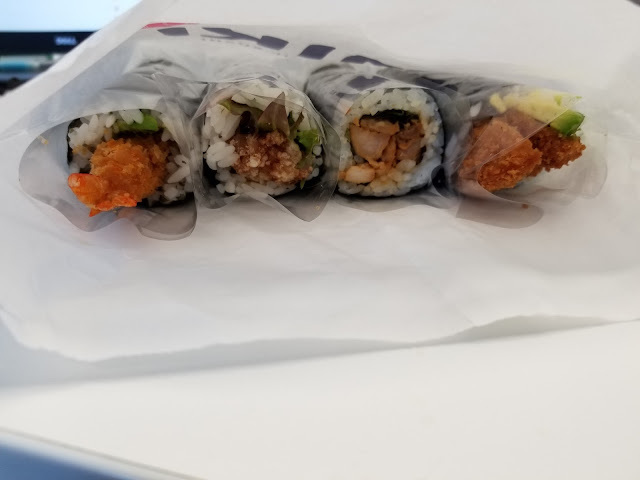 Although I didn't order any (friends would know that it would take a miracle to make me eat non white rice), it forms a nice healthy option for those who are health conscious. 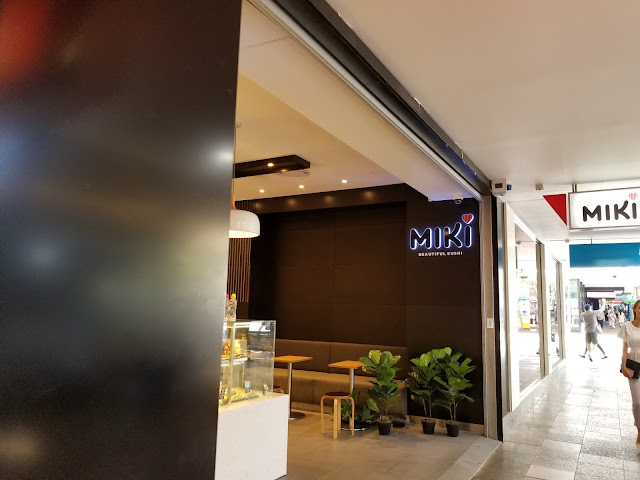 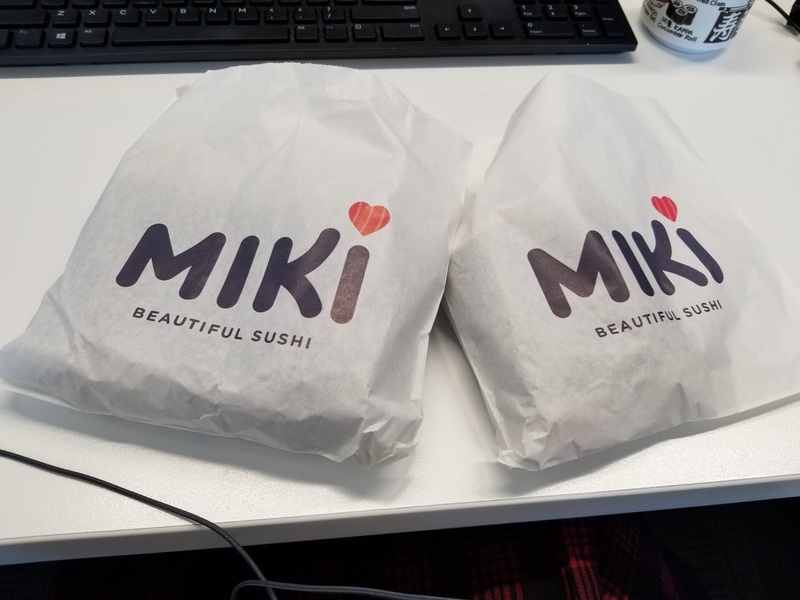 Further to being health conscious, I found Miki to be quite environmentally friendly too, with sushi packaged in paper bags rather than the plastic boxes that other chains use. 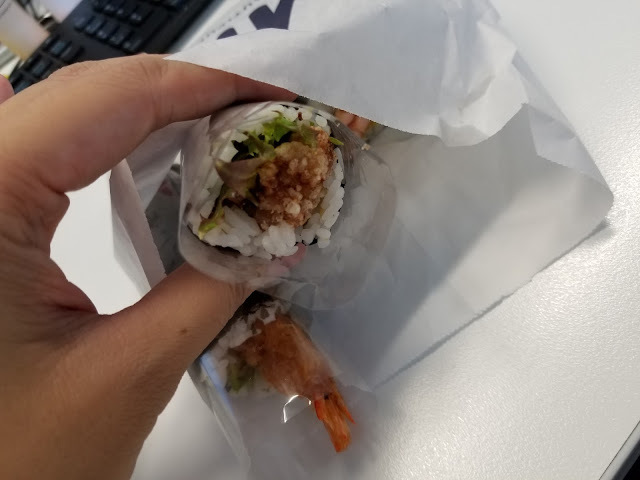 Having to carry it around with me to UQ though, I was a bit concerned with squishing the rolls. Thankfully, with enough love and affection, they arrived unscathed. 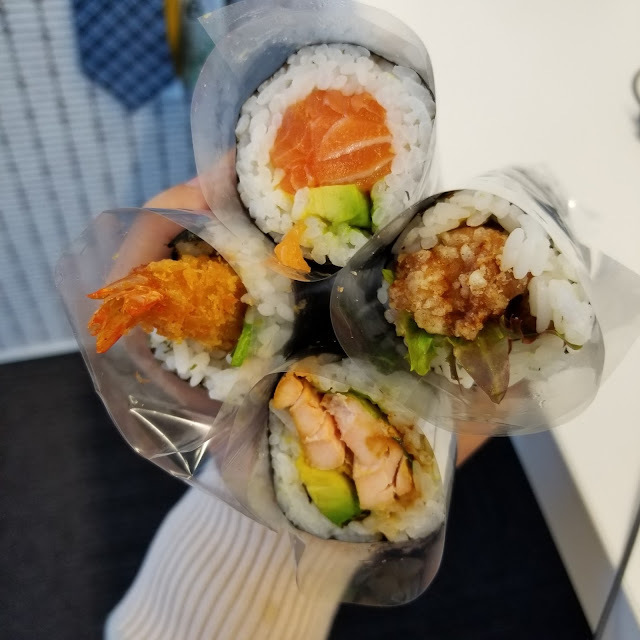 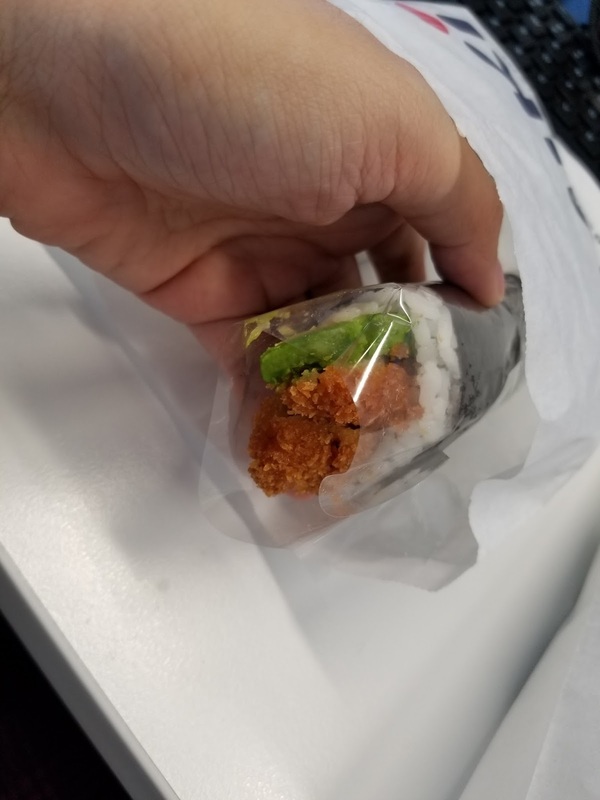 Each roll was wrapped in plastic which was perforated in the middle, allowing for us to eat them without chopsticks and without getting our hands dirty. Between the two of us, we had five rolls (unfortunately nothing raw as it wouldn't last half a day in the Brisbane summer). 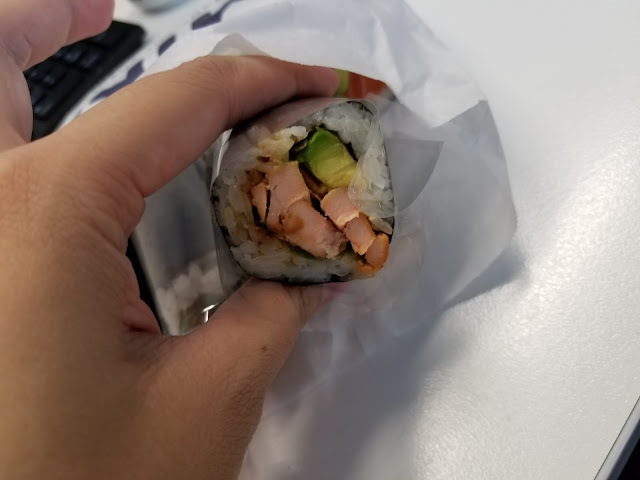 At room temperature, I found the sushi to be far more palatable, with the rice having a good consistency without the frozen hard centre. 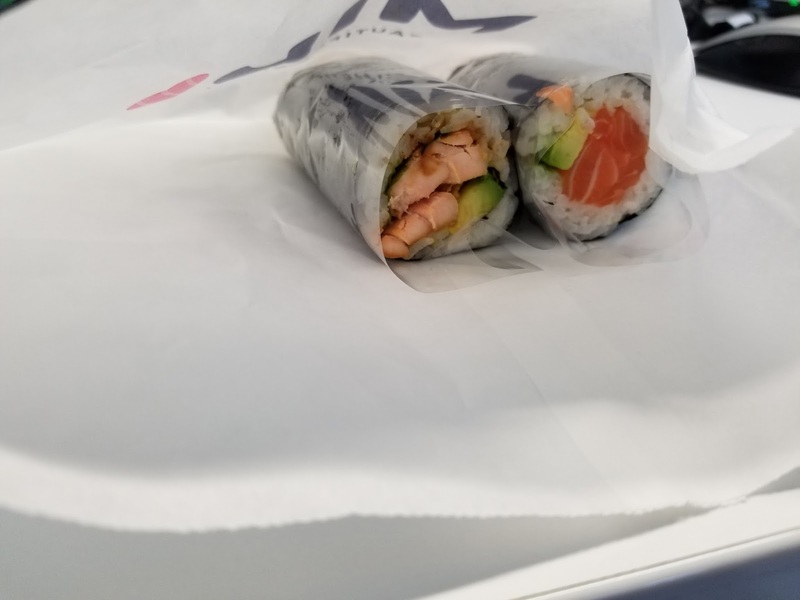 It was amply seasoned with vinegar and sugar too. 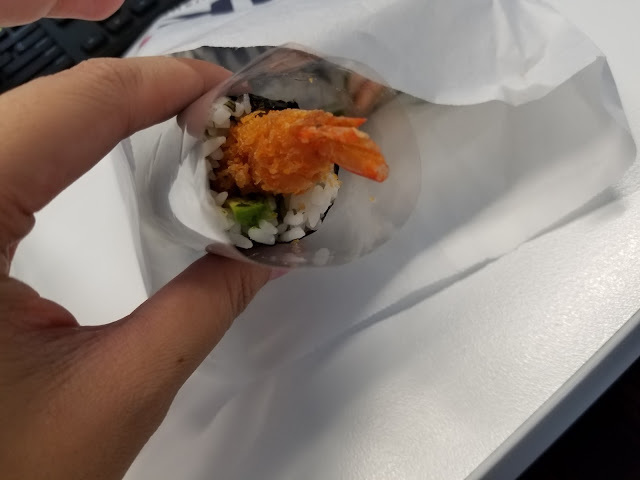 The toppings tasted alright, except for the crumbed prawn which I found to be quite bland. 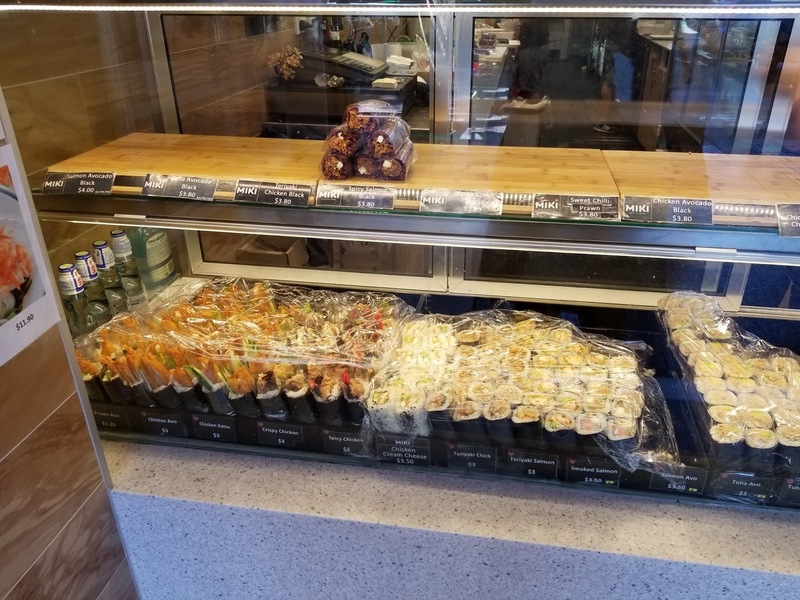 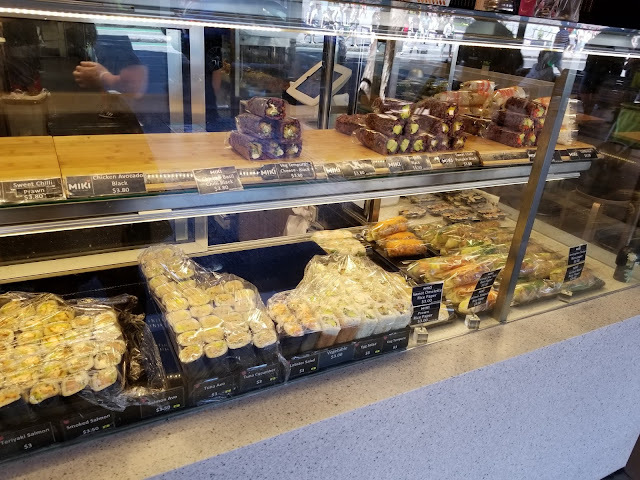 For the slightly higher than average prices, the sushi rolls weren't as large as other stores that I've been to which was a little disappointing.